Thought Refinery is a WordPress design and development shop specializing in using WordPress as a CMS and custom plugin development. Nick Ciske has a degree in Multimedia Design and over 16 years of experience working in web development and digital media. He remembers spacer gifs, table layouts, font-face and when Flash was the new kid on the block. 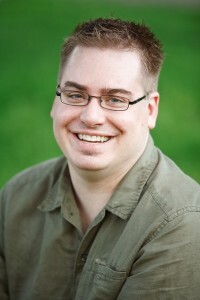 He specializes in custom Genesis websites and bespoke plugins that teach WordPress new tricks. His past clients include Carmichael Lynch, WeWorkForThem/YouWorkForThem, Michael Cina, The Billy Graham Association, Bethany Press, Augsburg Publishers/Sparkhouse, and many others (see portfolio for recent work). Nick’s development expertise is sought after because he delivers solid results that are client focused. He is an excellent communicator who can break down complex technical subjects into everyday language. He is passionate about his work and enjoys staying up to date on the latest trends, techniques and technologies.